Our home moving kits are designed to make life easier if you’re moving home. It can be tricky figuring out exactly what you need when you rent or buy moving boxes online, so our experts have done the math for you, based on the average needs of customers. Each home moving box kit contains the number of Ecoboxes – our sturdy, eco-friendly plastic boxes – or cardboard boxes you’re likely to need, along with all the labelling and packaging materials you’ll require. Buy a moving kit online and you won’t have to waste valuable time hunting for suitable moving boxes, or running out of boxes halfway through packing. We’ll deliver the kit to your doorstep, at a date and time that suits you. 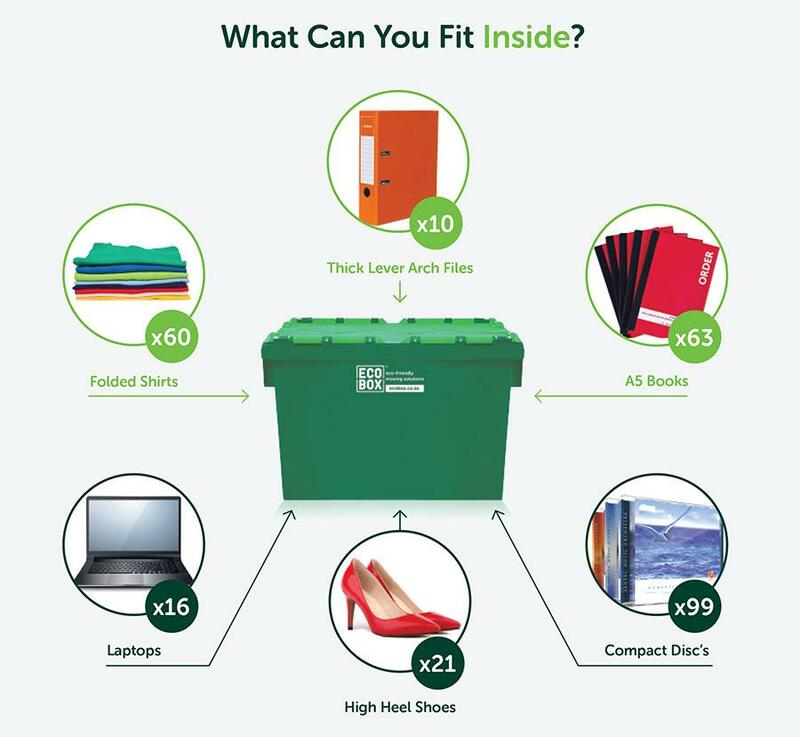 In the case of recyclable Ecoboxes, we’ll also retrieve the empty boxes once you’ve unpacked – again at an address and time you choose. Another advantage of our moving house starter kits – the moving kit price includes everything you’re likely to need to pack, secure and label your items, making it easier to keep costs down and stick to a moving budget.